What are the Best Backpacks for School in 2019? High school and college students lead very demanding lives. In fact, it’s probably the most stressful time in our young adult lives. The pressures to perform academically and attend extracurricular activities leave students with little time or energy to do much else, what more if you also have to squeeze a part-time job into your schedule? This is why the right backpack is a student’s best friend. You’re going to need a reliable backpack to help you carry all those textbooks and notebooks comfortably, snacks to fuel you through the day, and a change of clothes for after-school activities. Ideally, a good high school or college student backpack is sturdy enough to last you years of wear and tear. After all, considering such the hectic schedule you’re going to have for years to come, the last thing you need to worry about is a bag that’s going to break on you as you run to your next class. 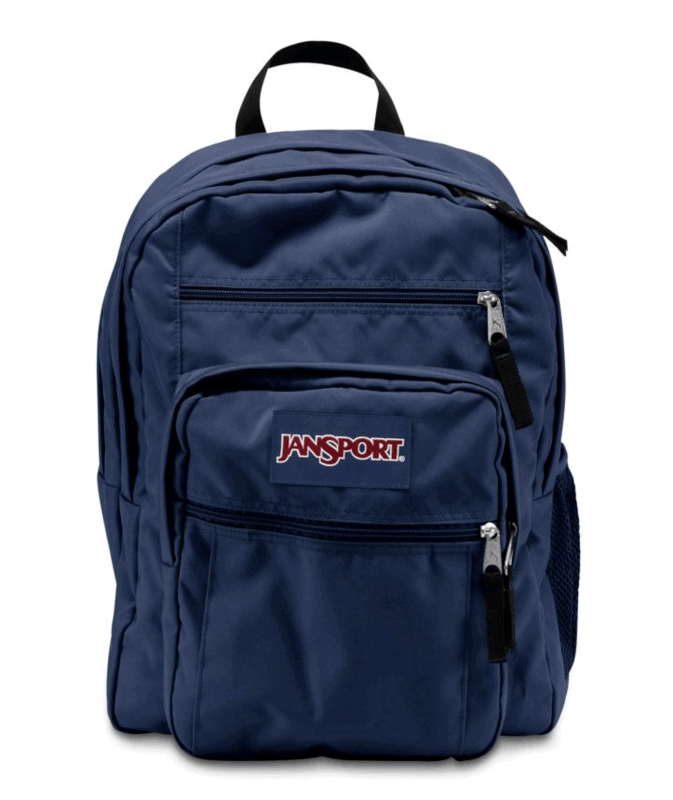 For many years now, JanSport has catered to the unique needs of high school and college students. They have managed to create iconic backpacks that meet the very specific requirements of students, all while being both stylish and affordable. The JanSport Big Student Backpack is the perfect size for busy students who carry a serious amount of heavy school things. It comes with an extra spacious 34-liter capacity, suitable for storing large books and all other student essentials. It’s also got that iconic style that JanSport is known for, one that’s suitable for both men and women. This backpack has everything that a student could ever ask for in a school bag. Neither too large nor too small, it has been designed precisely to accommodate the hectic and demanding lifestyles of high school and college students. Its two spacious large compartments and front utility pocket that’s outfitted with an organizer ensures that not only do you have everything you need, but that you can easily find your things in a flash. Because really, as students, who has time to dig through their bags in class? JanSport has been around since 1967, and through the decades it’s become a household name for trustworthy student bags. Their iconic backpacks have seen countless students through years of school, and it’s perhaps the most recognized brand of bags in any campus in the world. Their unwavering dedication to providing the market with dependable and high-quality bags for school and outdoor use is evident in each item in their impeccable range of backpacks. The JanSport Big Student Backpack is their answer to all students’ woes. It has not one but two voluminous compartments that are big enough for all your textbooks and notebooks, and its S-curve shoulder straps plus a padded back panel ensures all-day comfort. This rucksack also comes in a wide range of cool colors and prints to suit your personal preferences. With a total of 5 interior slip pockets and 4 exterior pockets including a water bottle holder, you can efficiently carry all your belongings on your back while keeping your hands free. It’s made from durable 600 denier polyester, one of the toughest and sturdiest fabrics around so you can confidently rely on this backpack no matter how busy or rugged your student lifestyle is. In fact, you can even take it outdoors too! It’s also a huge bonus that all JanSport bags come with a lifetime warranty. This is how you know that they are committed to providing you with only the best! The JanSport Big Student Backpack is so versatile and durable too, it’s the only backpack that can take you from campus to camping all while being affordable and stylish. 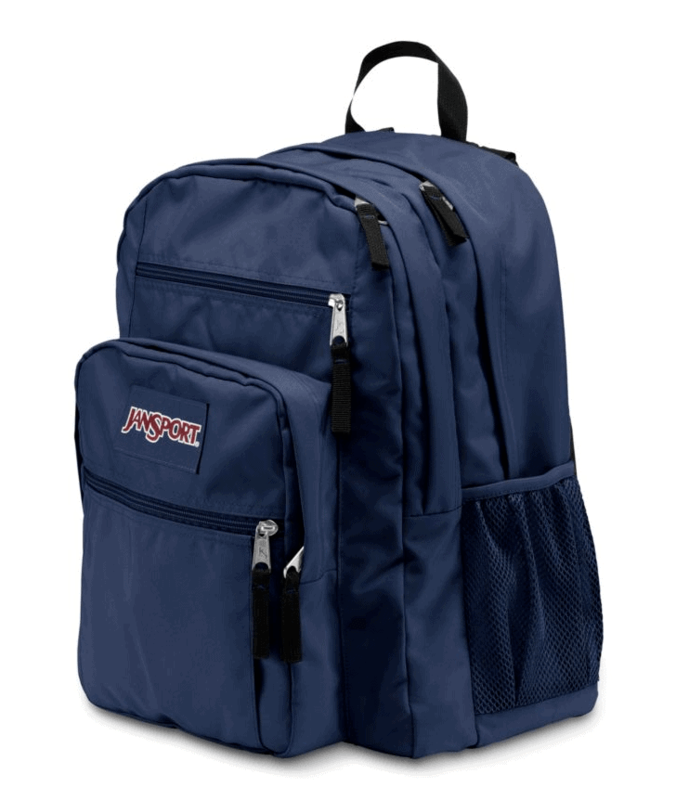 The JanSport Big Student Backpack is a top-of-the-line choice for high school and college students. 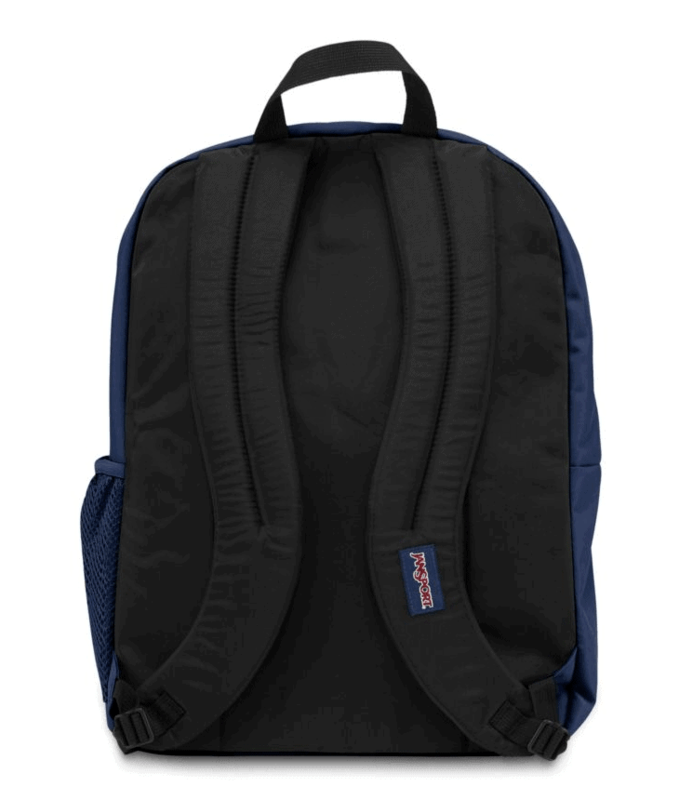 It’s lightweight yet extremely spacious but its comfortable straps and padded back panel ensure that even if the pack is filled with heavy textbooks, it doesn’t cause a strain on your shoulders and back. This model makes it clear that JanSport has perfected the art of the student’s backpack – it’s got everything you need, nothing you don’t. Customer reviews about this bag confirm that it is indeed heaven-sent for students. Parents have written about how investing in this bag will save you money in the long run, because buying a cheap or poorly-made bag for your kids will only cause you to shell out money again after it breaks within a few months. Students praise its generous space and its overall quality. Reviews also indicate that the JanSport Big Student Backpack is tough enough to withstand even the most rugged conditions. This bag holds up really well even after months of tossing it into lockers, or shoving it into the floors of school buses. There are also several reviews from people who have purchased this bag who aren’t students, and they’ve expressed satisfaction with how this bag performs even in the outdoors. If you’re concerned about comfort, the reviews indicate that this bag does take the load off your back; you will hardly feel the weight even if you’re carrying 10 pounds of books. However, a few reviewers have complained about the quality of its zippers. Considering it’s a JanSport brand and it isn’t the cheapest when it comes to price, many have been disappointed about how quickly the zippers seem to give way. If you do encounter this problem, the silver lining is that zippers can easily be replaced by a seamstress. Overall, most people are very pleased with the JanSport Big Student Backpack. It stands out for its comfort and superior storage features that are perfect for busy high school and college students. Upgrade your student life by making the switch. The JanSport Big Student backpack is best purchased on Amazon, because no one is selling it at a better price. Speedy deliver and efficient service ensure that this bag gets to you within a few days of ordering it, so you’re ready to tackle the next day at school like a pro. Huge on comfort, storage, and quality, this backpack may be the last one you’ll ever buy for school. The JanSport Big Student Backpack is a superior choice for students; it will give you the peace of mind that you need to focus on school because it does all of the heavy lifting for you – literally. It comes in a style that appeals to a huge age range, and it’s a classic choice that you clearly can’t go wrong with, on and off campus.